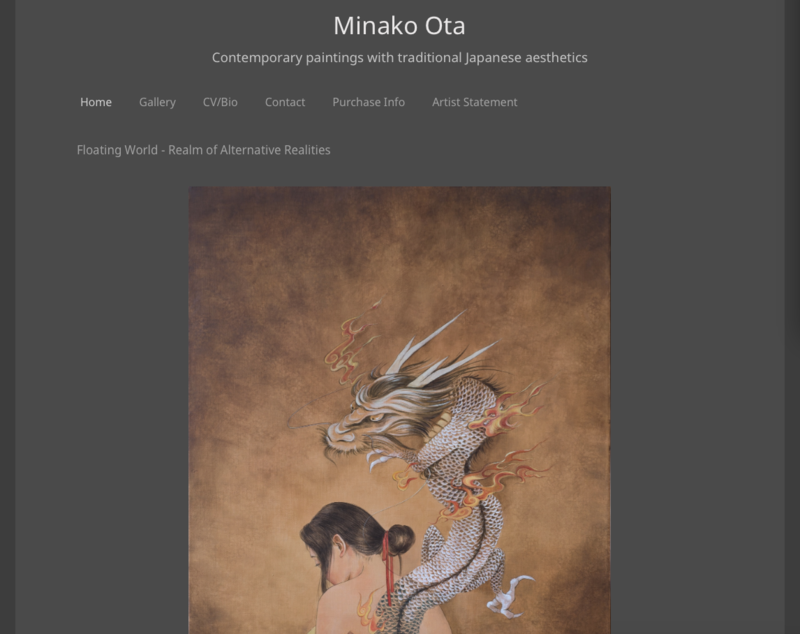 For Minako Ota, painting is an ever-changing life form. "Through life experiences, you keep reinventing yourself and as you transform, your painting style transforms, too." A self-described hybrid of Japanese and westerner, Minako Ota's paintings combine western painting techniques that she learned through painting conservation and traditional Japanese motifs that she grew up with. 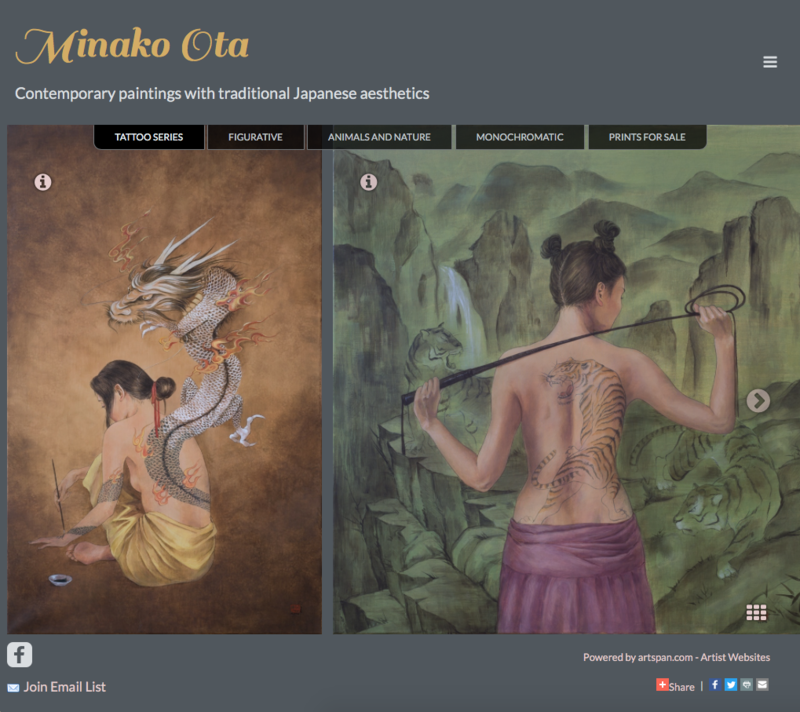 We love Minako's work, and we asked if we could update her site to one of our newest templates. We liked the simplicity of the site, so we decided to only make a few small changes. We updated to a gallery display option that showed as much as her work as possible on the home page. We adjusted the warm grey to a slightly cooler blueish grey, that set off the warmth of her images. And we chose an unusual font that added a unique elemenet to the site.